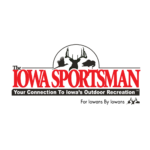 Iowa residents 16 years and older, and nonresidents regardless of age, are required to have a valid Hunting License on their person, and have paid all applicable fees and possess all required stamps while hunting game or participating in the hunt. See p. 4. Participation in a hunt includes, but is not limited to: handling firearms or ammunition during the hunt; trying to attract game, driving, flushing, or locating game; and working dogs. “Hunting” means any pursuing, hunting, killing, trapping, snaring, netting, searching for or shooting at, stalking or lying in wait for any game, animal, bird or fish protected by the state laws or rules adopted by the commission whether or not such animal is captured, killed or injured. I think the scope and context of this language assumes one is hunting, not photographing deer. However, a quick call to your local CO should confirm the appropriate approach. You don’t need a “tag” to take photographs of animals. Do not communicate with anyone who might be hunting. Agree with Brad. No tag needed. To remove doubt, I would not have any weapons or ammunition on my person or in my vehicle. In the nicest way I can say possible, no, no license needed. Carry a gun, carry a light, carry a machete, sit in a tree stand do whatever you like. There is no law anywhere that would prohibit you from taking photos of wildlife while doing any of these things. You all are making this WAY to complicated. The only thing that would change is if you had a license on your person and you were using lights, radios, or any other prohibited devises. No license = not hunting = no problem. Sarcasm entails a few things: one of them is intellect, another one is a sense of humor, and a third - not taking things too personally. Dont take a firearm with you. While it may be legal to carry one and only takes pics without a licence, possessing a firearm while sitting in a blind or tree stand will get you investigated if the CO finds ya. If your only armed with a camera and a tripod then by all means go for it. However I would consider putting a chunk of orange somewhere on the blind and yourself for safety. The idea that I can’t sit in a tree stand taking wildlife photos while carrying a firearm without being investigated by a CO is absurd. The idea that this entire thread is continuing is even more absurd. The idea that this kind of thinking is so prevalent scares the crap out of me. I agree and so should anyone else that has the smallest amount of common sense measurable that this is DUMB!!! Why do discussions like this go on???? I wanted to respond to this earlier but had no idea of a way or context to respond to it so that the participants could comprehend it. And yet you keep the thread moving and talk down to people about being dumb all in the same breath. Let the irony of that sink in a bit. To the OP, if I was you I would go to State Parks to photograph deer or any other wildlife. The wildlife on public land and private land will be on high alert because they have been or are being hunted. In a State Park they should be more relax. Go to the larger parks and get back into the more remote part and you will have a better chance of finding wildlife. You can use a pop up blind but a Ghillie suit would be better. You will be more mobile with the Ghillie suit. Some of the better parks are Ledges, Fort Defiance, Lacy-Keosauqua just to name a few.There are more State Parks the would be good. Also check out the larger County Parks. Another good place to photograph wildlife are National Parks . There is public hunting at many state parks…they can be very busy during shotgun season and not a lot of respect for a photographer. I know of several large groups that push these state parks in legal areas during both shotgun seasons and during late muzzy. And now during January antlerless. cannot cast the rays of a spotlight, headlight or other artificial light on a highway or in a field, woodland or forest for the purpose of spotting, locating, taking or attempting to take or hunt a bird or animal, while having in possession or control, either singly or as one of a group of persons, any firearm, bow or other device capable of killing or taking a bird or animal.” You can spotlight to see how many deer are on your field plot, or to look for your lost pregnant cow, but if you have a weapon (which is wider in scope than just a gun) capable of killing or taking a bird or animal, then you are illegal with using a spotlight. So, IMHO, I would guess some CO’s interpret going out to take pictures the same way. If you go out with your camera and don’t have any weapons capable of killing or taking a bird or animal then you aren’t hunting, go enjoy. If you have a weapon capable of taking a bird or animal it doesn’t matter that you have a camera and say “I’m just taking pictures officer, honest, I’m not a poacher carrying a 30-06 around trying to take pictures of deer”, well, more than one CO in this state is going to laugh at you while he busts you for poaching. Like in the case of spot lighting, you don’t have to kill or take a bird or animal to be in the wrong and be arrested, all you have to be is capable of killing or taking a bird or animal and trying to find birds and animals. the intent of “Hunting” for pictures or “hunting” for the freezer is determined by your actions, and carrying a weapon is one of your actions by which you will be judged. If you want to be sure you won’t have any issues with the CO in whatever area you’re at, don’t take a weapon.